Though there are 28 banks in Bangladesh, mostly head quartered in Dhaka (7). (, Only a select few have web pages. Listed below are the names of the few that do have sites. However, most of these banks do not offer online or electronic service such as Direct Deposit. There are some ATM machines, though not nearly as concentrated as in the United States. i. Arab Bangladesh Bank Ltd.
i) Marketing: It is only allowed to advertise items for sale, rentals, jobs and services. ii) Company ad: Company classified ads on Cellbazaar.com are for companies. Cellbazaar.com reserves the right to decide whether an ad resembles a company ad. v) Goods and forgeries: It includes branded products, CD/VCR/DVD, computer/game-console software. Chorka.com accepts no liability for any errors or omissions, whether on behalf of itself or third parties. Chorka.com is not responsible and shall not be responsible for any non-performance or breach of any contract entered into between Users.  Bangladesh Telecommunications Regulatory Commission (BTRC) should be established independent of the government control.  Voice over Internet Protocol (VoIP) and private international gateway for voice and data should be allowed.  The number of pre-shipment agents (PSI) should be increased. The size of fines and penalties on PSIs should be increased for breach of rules and regulations.  Posting of government documents and publications including budgetary information on the Web should be instructed.  Contracts and other alternates to Letter-of-Credit (L/C) should be allowed as legal methods for international transactions.  Foreign exchange controls on travel and for business should be relaxed.  BTTB‟s monopoly in the nationwide long distance services should be ended.  The control of foreign exchange should be liberalized gradually, and issuance of International Credit Cards should be allowed. 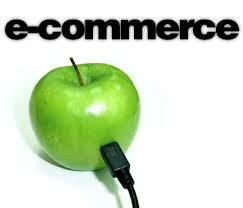  Government officials are to be oriented on the benefits of e-commerce. For instance short course can be offered at training centers such as the Public Administration Training Center (PATC).  Business associations and organizations should be made aware of the benefits of e-commerce. BGMEA can play a significant role in this.  Greater competition among the Internet Service Providers (ISPs) should be promoted and new ISPs should be encouraged to come into business.  Revise and update ageing laws on trademark, copyrights and evidence.